I'm guessing this means James is out? AUST PACE! SPOILER ALERT! After Roo & James split, he left & there has been no mention of him at the hospital, not even to say he had left/resigned/transferred out. There has even been a different lady doctor looking after Josh (but I gather she is maybe only an interim/support cast member for that storyline?). Roo does eventually receive a letter from James saying that he left his wife & is receiving counselling for his problems ("closure" for Roo?). Last edited by Pantherboy; 22-11-2015 at 21:46. So that`s Dr Nate Coopers next notch on the bedpost sorted then. Home and Away is set to welcome a new face as doctor Tori arrives in the Bay - and she's hiding "some dark secrets". 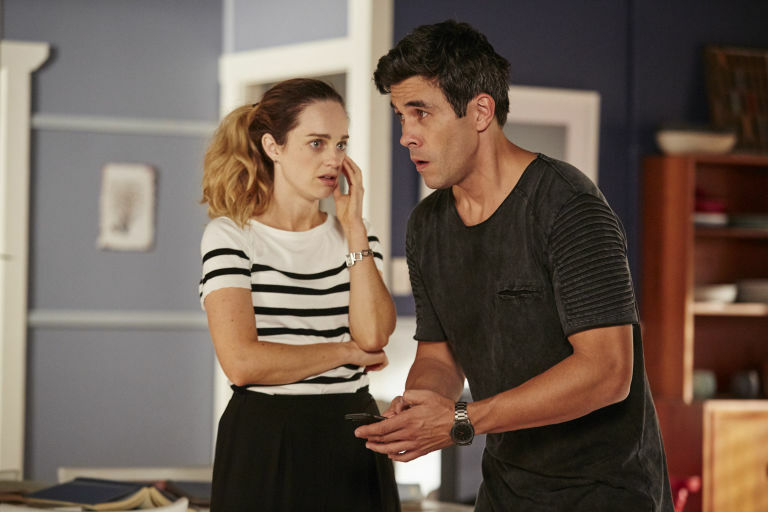 Actress Penny McNamee, who has previously appeared in The Pacific, Blue Bloods and Elementary, has been cast as the medic and began filming on the Seven soap earlier this month. "It's my dream job," she told Australian news outlet The Daily Telegraph. "I've been wanting a role on Home and Away since I started acting. "(Tori) arrives in Summer Bay looking for a fresh start, but she's certainly got some dark secrets." And the actress revealed that her new co-star Georgie Parker (Roo Stewart) has already been acting as a mentor to her. "She's really offered me some great advice about balancing work with life - she's also a working mum. "I've really enjoyed some of the younger cast too, they have great energy." The mysterious Tori will make her Home and Away debut early in 2016. Home and Away​ will welcome its latest newcomer amid all the explosion drama, as new doctor Tori Morgan arrives during the chaos. 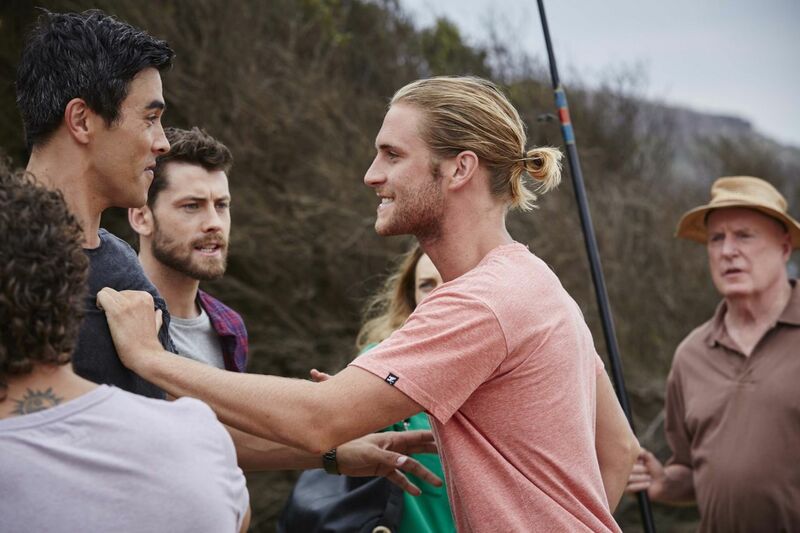 The Australian soap is lining up a deadly blast at Summer Bay's caravan park, which is expected to kill off two characters and leave several lives hanging in the balance. ​Tori will be attending the fundraiser when the blast occurs and will be on hand to help treat the casualties. Immediately springing into her medical mode, Tori will join forces with panic-stricken fellow doctor Nate Cooper as they get through the terrible tragedy together. 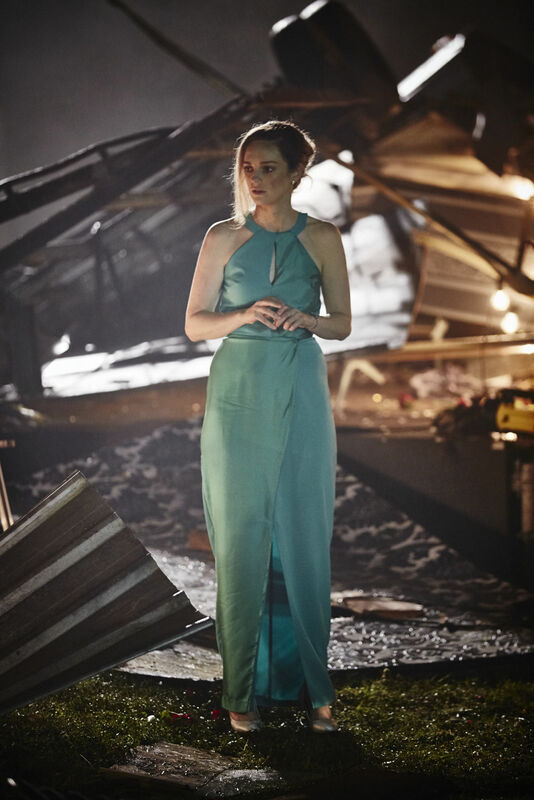 Penny McNamee has taken on the role of mysterious newcomer Tori, whose arrival was first announced last year. Speaking to TV Week, McNamee said: "She sees all these people who need help and she just goes into doctor mode. "She goes from person to person, helping each one and trying to save lives. It's lucky they have her there, because Dr Nate is obviously emotionally invested." Last edited by Perdita; 25-04-2016 at 13:12. Elsewhere, fans will be introduced to Summer Bay's new doctor Tori when she steps in to help the injured residents during the tragedy. Tori will be attending the fundraiser when the blast occurs and will be on hand to help treat the casualties. Immediately springing into her medical mode, Tori will join forces with panic-stricken fellow doctor Nate Cooper as they get through the terrible tragedy together. It will also be Tori who has the difficult task of breaking the life-changing news to Maddy about her arm, but that is not the only devastating situation the newcomer has to deal with that day. Penny McNamee has taken on the role of Tori, whose arrival was first announced last year. 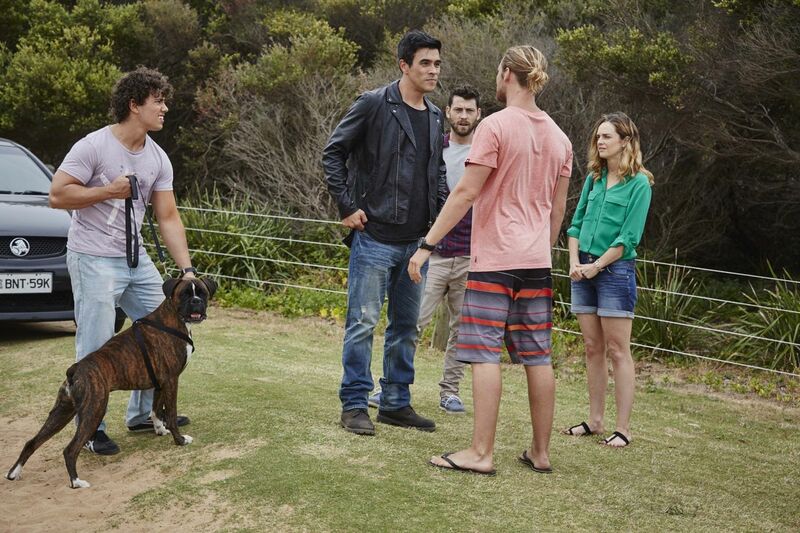 Home and Away will air these scenes in the week commencing Monday, June 20 at 1.15pm and 6pm on Channel 5. Also ahead in Home and Away, Tori Morgan's brothers make an explosive arrival in the Bay. 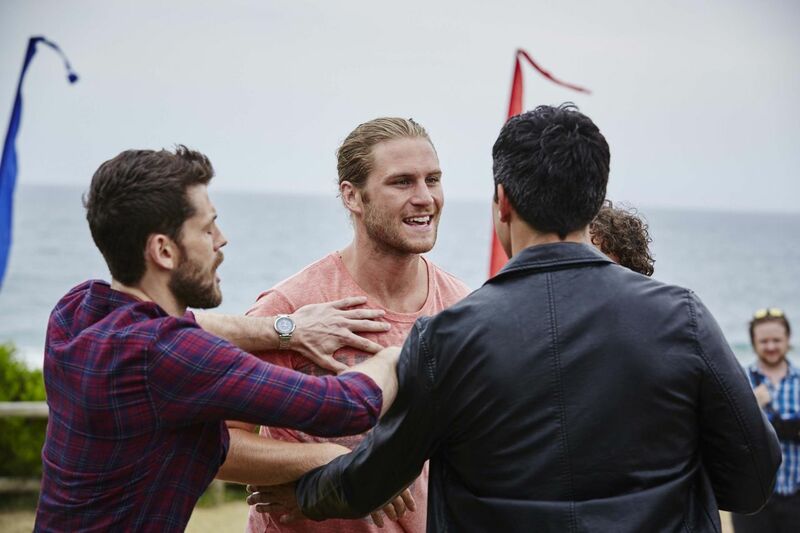 Justin, Brody and Mason Morgan (James Stewart, Jackson Heywood and Orpheus Pledger) are new regulars for the show who'll be shaking up life in the Bay from the very beginning. The siblings first appear when Martin 'Ash' Ashford (George Mason) faces a frantic race against time when Kat Chapman tells him that she plans to finally arrest Josh for the murder of Charlotte King. Wanting to stop that from happening, a desperate Ash springs into action but nearly has an accident while texting Josh's brother Andy while driving. Andy then almost gets into a furious fist fight with the other driver - who turns out to be Justin, the eldest of the Morgan brothers. Later on, Tori gives her siblings a warm welcome in the Bay, but among their family banter, they remark on how many houses they've lived in before this. 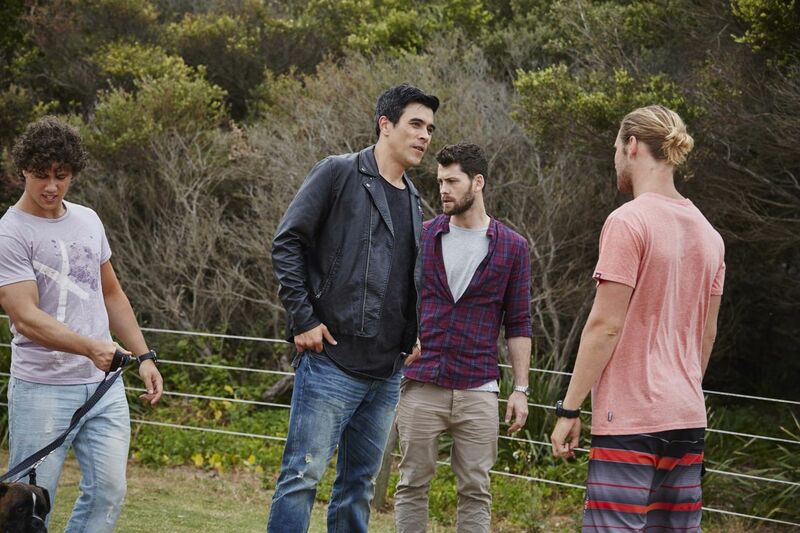 Home and Away airs these scenes on Tuesday, July 26 at 1.15pm and 6pm on Channel 5. And sadly, it transpires that Tori is next. Although the panicked medic knows she needs to get her family out of Summer Bay as quick as possible, it's all too little too late when Spike tracks her down before they have a chance to flee. Having realised Spike is looming, Tori starts to put the wheels in motion to flee the area - and fast. Her brothers will also be forced to pack up and leave, knowing that this is their only chance of survival. Unfortunately, their efforts are in vein as Spike is already inside the house. And now that he's finally caught up with Tori, he's not going to give her a chance to run. Alone and terrified, Tori will be left fearing for her life as Spike starts making his demands, but what does he want and why? Home and Away airs these scenes on Wednesday, August 31 at 1.15pm and 6pm on Channel 5.